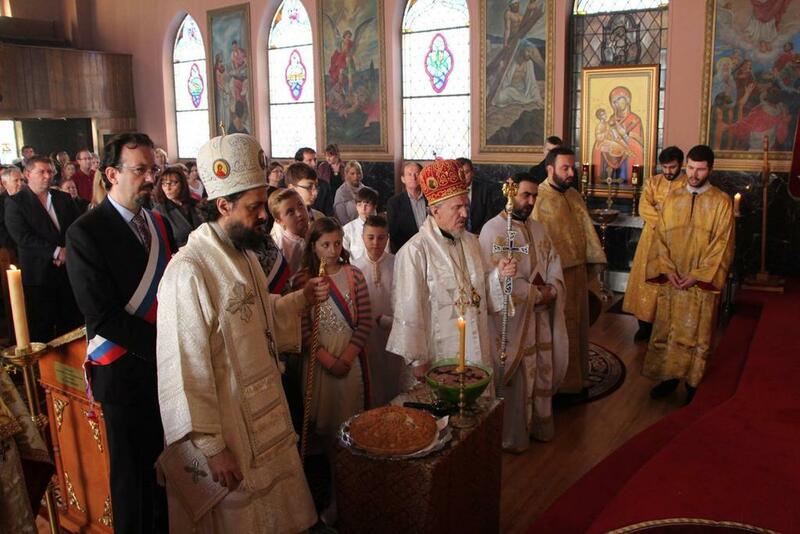 Paterson, NJ - On Sunday, October 4, 2015 the St. John the Baptist Serbian Orthodox Church in Paterson, New Jersey celebrated their Krsna Slava, the Conception of St. John the Baptist. At the same this the parish celebrated their 40th anniversary. 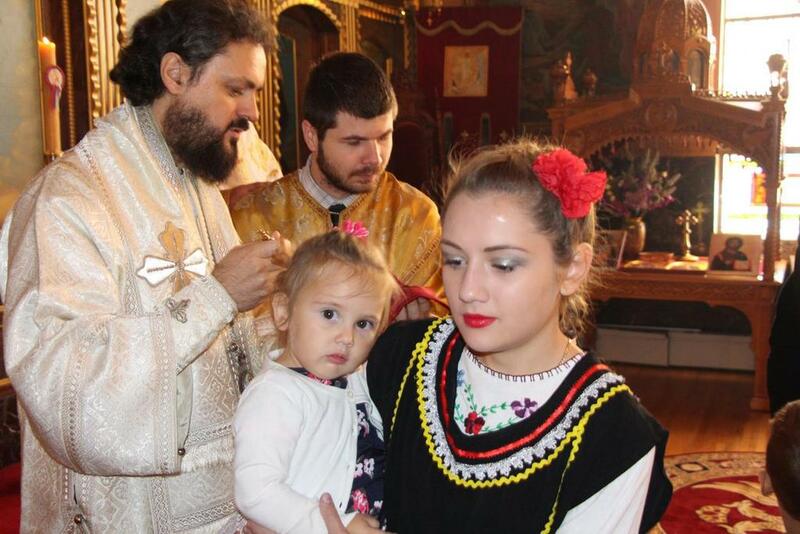 Officiating at the Divine Liturgy was the ruling hierarch His Grace Bishop Mitrophan of Eastern America and His Grace Bishop Maxim of Western America, whose maternal grandfather, Svetozar Todorovic, was a founder of this parish. Concelebrating were V. Rev. Aleksandar Vlajkovic from Boston and the Dean of the Washington Deanery, V. Rev. Toma Stojsic, retired priest from the Paterson parish, V. Rev. Zivko Velimirovic from Timisoara, V. Rev. Dragan Maksimovic from Banja Luka and Dean of the Cathedral Church of Christ the Savior in Banja Luka,V. Rev. Zoran Radovic from Elizabeth and the host priest V. Rev. Vladislav Radujkovic. 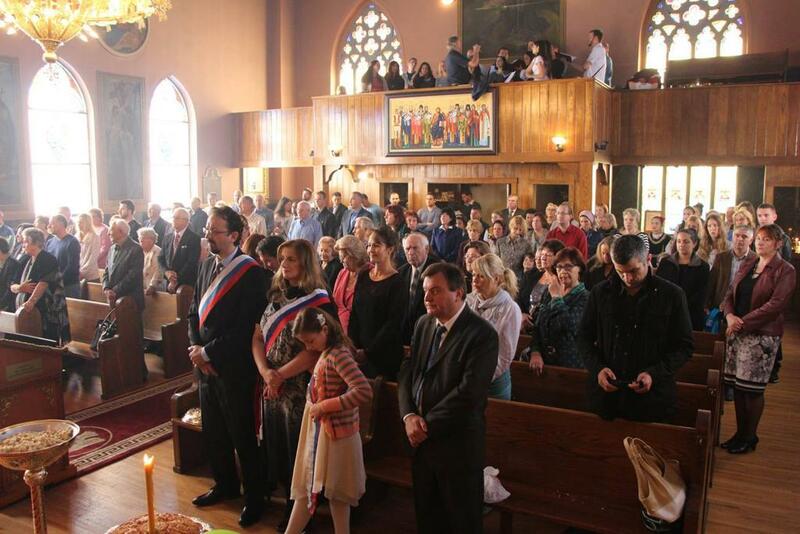 Singing the responces at the Divine Liturgy was the famous Banja Luka choir "Jedinstvo", who, thanks to the Cultural Ministry of Republika Srpska, attended the anniversary and during their stay held concerts in Boston, Paterson, New York and Chicago. At the formal banquet, during the rich cultural program, certificates of gratitude were given to the founders of this parish and the parishioners who have remained active since the parish's founding.